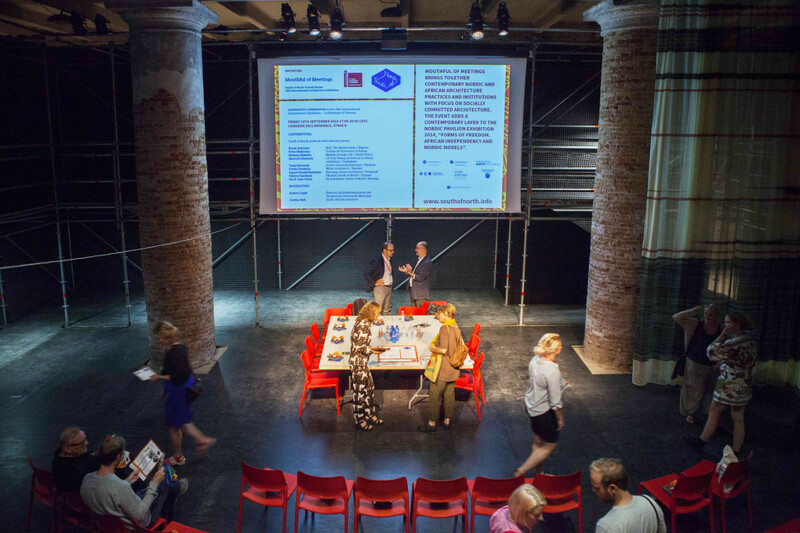 In September 2014 I participated in the The South of North Dialogues which was produced for and premiered at the Mouthful of Meetings event at the 14th International Architecture Exhibition – La Biennale di Veneziae. The Dialogues is an online discussion between Nordic and African architects Peter Rich, Helena Sandman, Mathias Spaliviero, Pilvi Vanamo, Inari Virkkala, Olwethu Jack, Daniel Harald Bauman, Rashiq Fataar and Ina B Sem Olsen, Mariam Kamara, Nina Berre and Nina Frang Hoyum. The film was produced by Justine Bell and Luke Apteker. What are the challenges in Africa’s current rapid socio-economic development that architects have the capacity to address? Can foreign architects play any role on the African continent today and during the coming decades? If so, how? Mouthful of Meetings was a moderated conversation organised by South of North. It brought together contemporary Nordic and African architecture practices and institutions with focus on socially committed architecture. The event was part of the programme of the Nordic Pavillion’s exhibition 2014, ”Forms of Feedom. African Independence and Nordic Models”. ← previous post10 Must-See events at OPEN DESIGN 2014 next post →The launch of Future Gold Coast: Why Gold Coast?